Braided Easter Bread is deliciously soft and very easy to make and versatile. 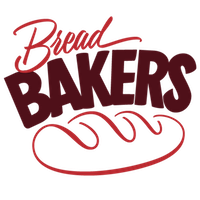 You can use the Braided Easter Bread to making your sandwich or even scoop your gravies with it. But then let us start from the beginning. I cannot braid properly, I never had long hair I did not encourage the girls too keep their hair long so braiding I have hardly done. When I do it is not too good, at least to my critical eye it looks skewed. 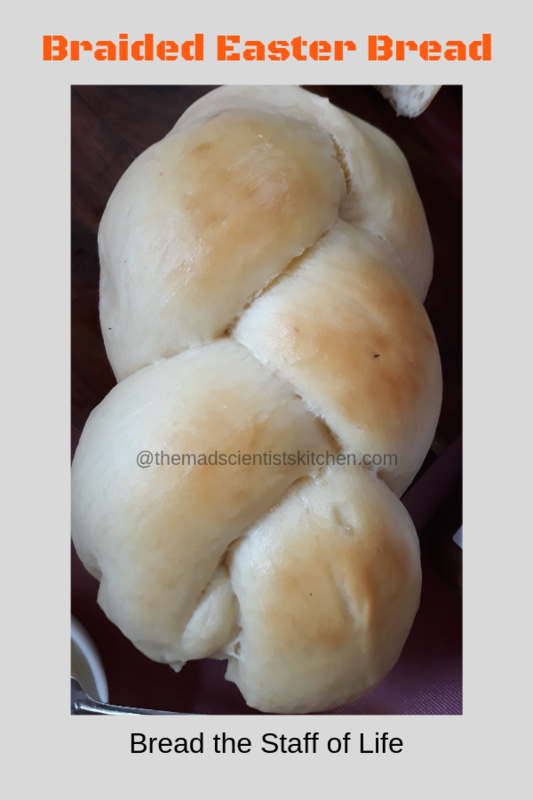 So I kept telling Akanksha that I have to make a braided bread. She was like sure let us, but Ma you can do it. You make quite good braids. She must have realised that I need support and hence she agreed to make it. I was mixing the dough when she realised I am not using the processor knowing that my cervical spondylosis will act up she told me to let her do the kneading. The dough was soft and sticky I kept hovering around and dusting the flour. She did manage it not only that she went on and did the window pane test. I was surprised that she knew it. After taking my help to form the ball she was out. In half an hour our dough was double. So we went ahead and made this braided bread with half the dough. The other half she has shaped in a different manner. Will share it soon. The original recipe calls for raisins in the dough and orange marmalade to serve. We have omitted both as kiddo does not want anything to do with both. I am glad that my kid has picked up so much of baking and she comes up with innovative bread too. The most important part is I was touched when she kneaded the dough without being asked to especially when she hates the squishy feel of the dough. This bread is thanks to Sonia Gupta of Anybody can Bake as I re-bonded with my girl while baking. Do check out Sonia’s blog where her recent post on Homemade Pizza Sauce has me itching to make the sauce. This bread is copied from Taste of Home. A soft yet delicious bread can be used to make a sandwich as well as to scoop your gravies with. Mix to form a very soft slurry kind of smooth dough. Add the remaining flour (I needed 5 cups) and soft dough. On a floured surface turn out the dough add the raisins if using and knead until smooth and elastic. (If you do the kneading in the food processor you need to knead for 3-4 minutes). Here my kid did all the kneading. She kneaded till we got the window pane. Place the dough ball in a greased bowl, turning once to grease the top. Cover with plastic wrap and then let rise in a warm place. Mark the height where the dough should reach when double. The dough should double in about 1 hour. It is so hot here that the dough was ready in 45 minutes. Degas the dough by punching it down. Turn out on a floured surface and divide dough into thirds. Make a rope with each dough piece. Place the ropes on a tray braid the ropes gently pinch the ends to seal. Cover the tray with a clean kitchen towel and let it rise yet again. Heat the oven at 180 C/350 F about 10 minutes prior to the end of the baking time. Once double, after about ½ hour in our case bake in preheated oven at 180C/350F. Bake for 20-30 minutes till golden brown on top. The bread should sound hollow when tapped. Transfer the bread to the cooling rack. Remember to let the bread cool completely before serving. You can serve with butter and marmalade. We had it with Nutella. If you are using active yeast in a bowl add warm water, sugar and yeast. Set aside for the water to get all bubbly and frothy. Very pretty braiding! I’d love a slice! Perfectly made braided bread.. This reminds me I have not baked any bread for a long time.. Let me bake some right away.. Happy Easter ! Thanks, Shobha. Please share the one you make with me. Perfectly baked bread, love how the braids are there after proofing too. Will love to have it with my favourite orange marmalade. I too will love it with marmalade Swati. unfortunately, it seems like too much of effort for just 1 person.